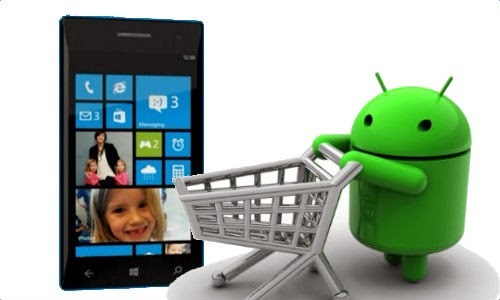 Microsoft has recently taken a deep dig at Google's update system to its android OS. In a keynote appearance at Microsoft's Ignite conference held in Chicago, a Microsoft chief blasted Google for their negligence in security updates to their android devices. Terry Myerson, a Microsoft chief, said "Google ships a big pile of… code, with no commitment to update your device," Myerson said, with an intentional pause that left the audience laughing. "Google takes no responsibility to update customer devices and refuses to take responsibility to update their devices, leaving end users and businesses increasingly exposed every day they use an Android device." With this jibe on Google, we might be forced to notice that Microsoft itself is planning out a way to bypass carriers and bring regular updates to the up-coming windows 10. You might think of Microsoft as they not having a convincing update history over the years but this sounds like they are going to make it up to consumers by fixing this issue. "We’re not going to be delivering all of the updates to all consumers on one big day of the month," explained Myerson, noting that the software giant will continue to deliver updates to Windows 10 in distribution rings. Microsoft introduced the idea of slow and fast rings with its Windows 10 preview, allowing some users to get the latest bits and others to wait for stable releases without bugs. Microsoft also have businesses in mind. that is why they are lunching the Windows update for business. which is designed for businesses to get the latest updates for Windows 10. Similar to consumer updates, businesses will also be able to select distribution rings and maintenance windows to ensure not all machines take rapid updates to Windows 10.